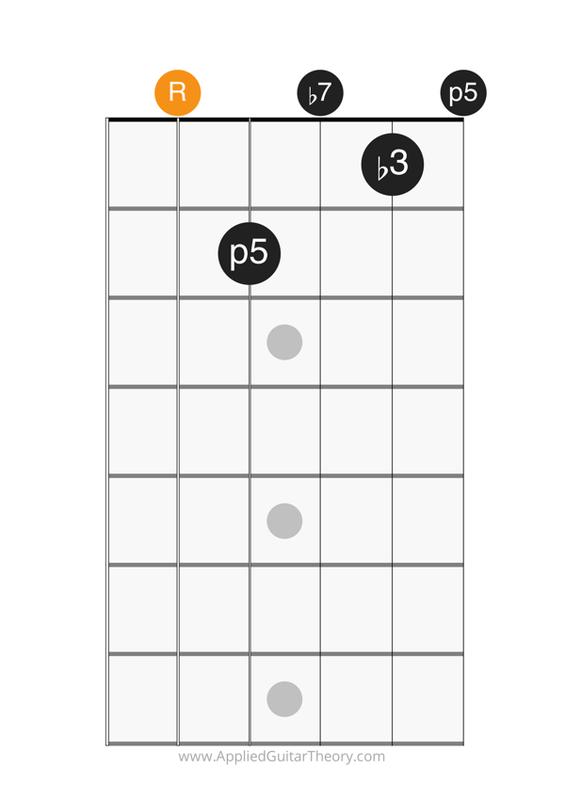 Below are commonly used chord shapes for various chord types. 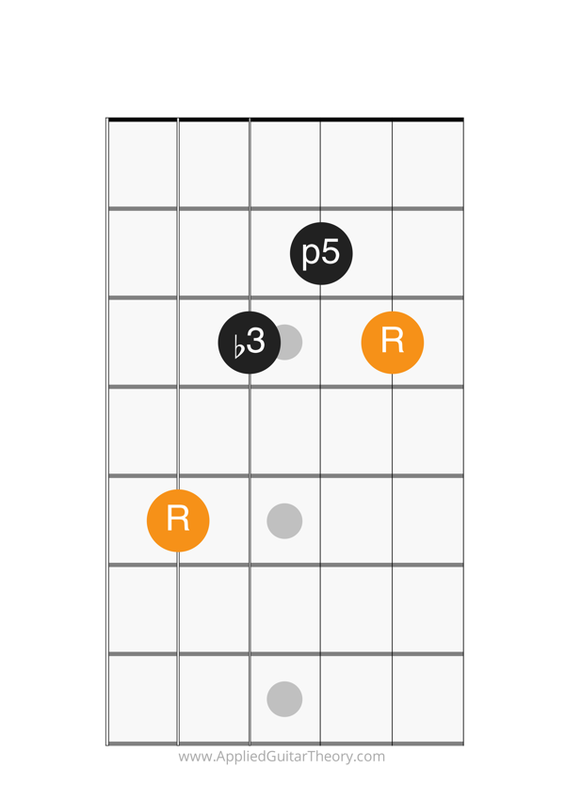 If you know the notes on the guitar fretboard, you can easily use these shapes to play any chord. 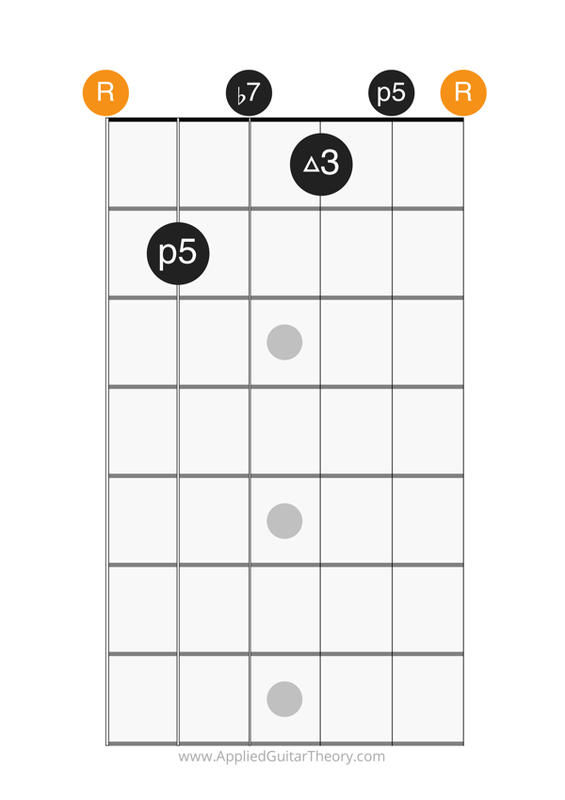 The major chord is constructed from the P1 (root), M3 (major 3rd), and P5 (perfect 5th) intervals of the major scale. 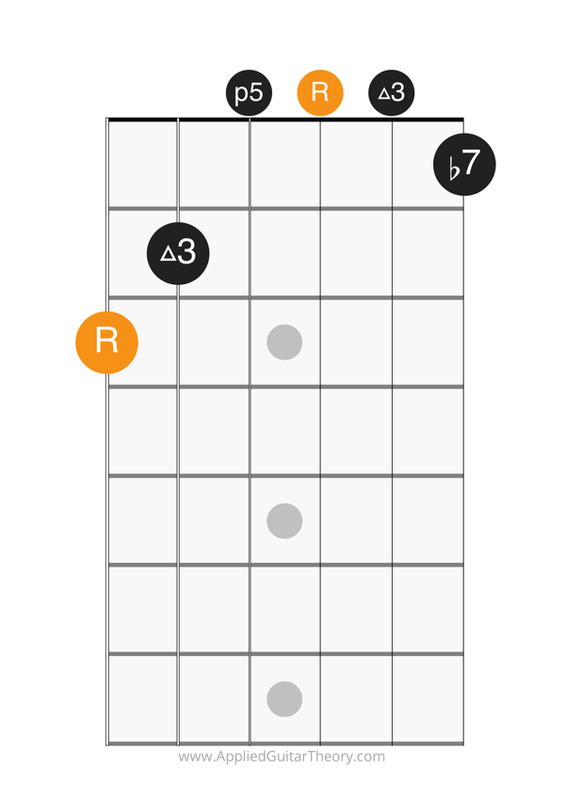 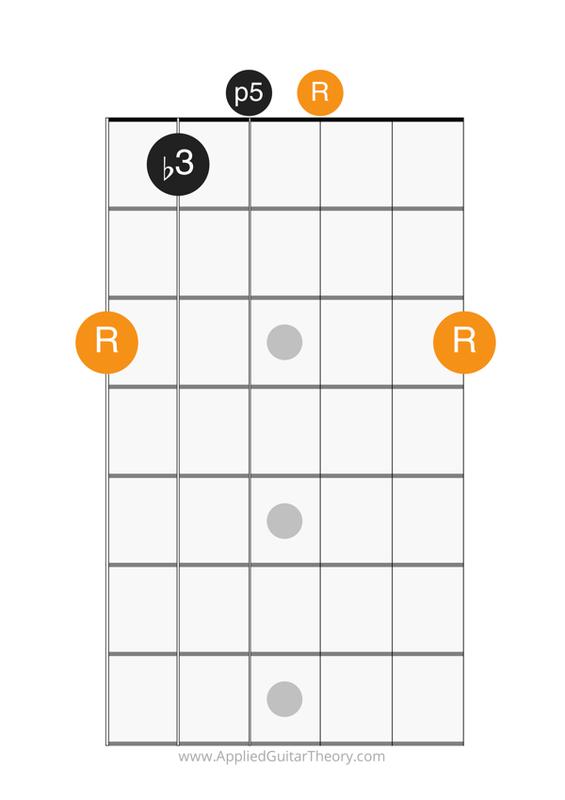 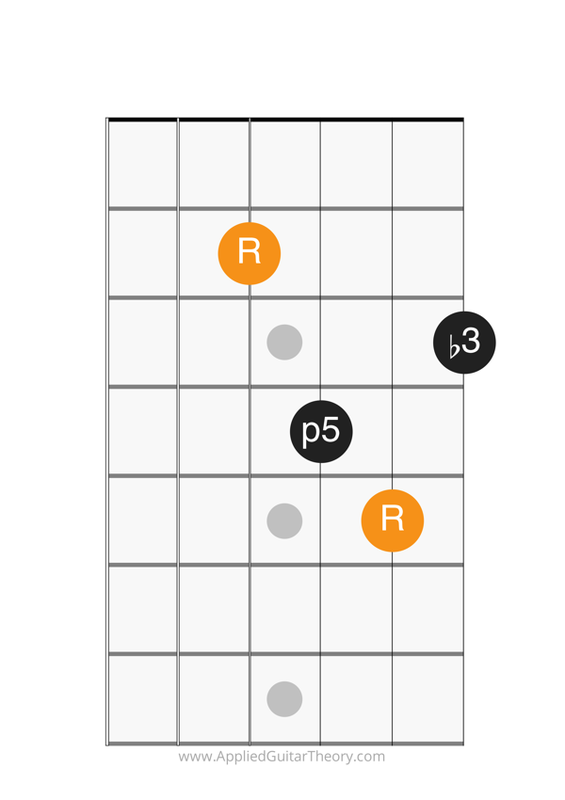 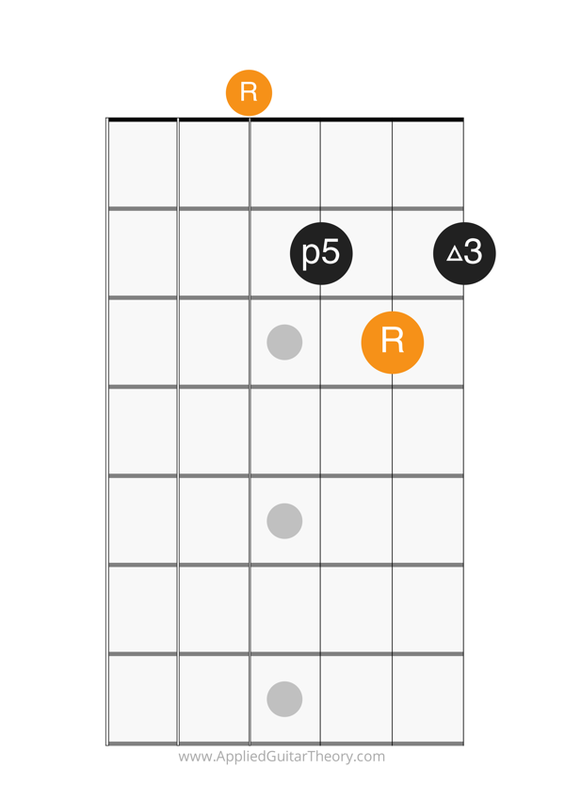 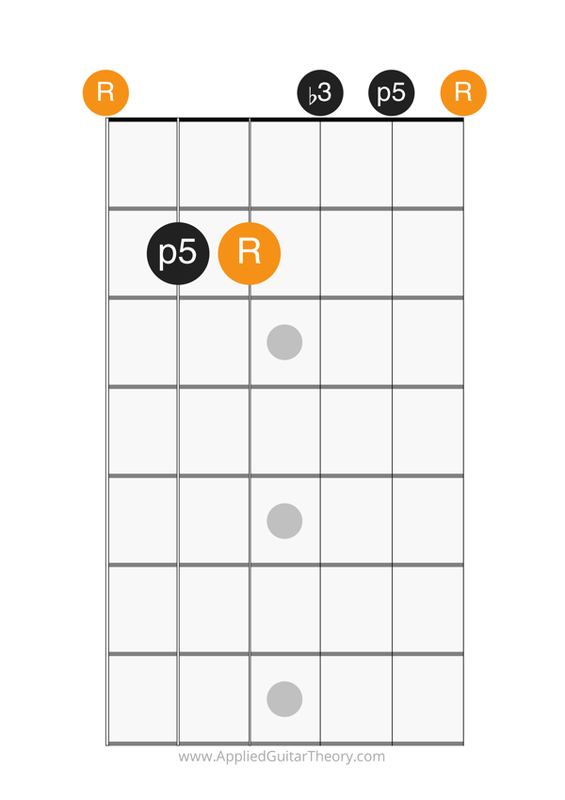 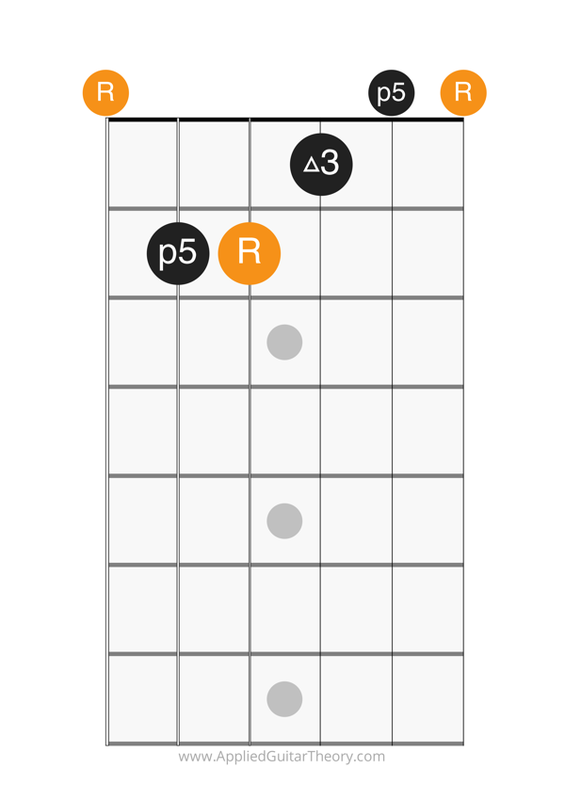 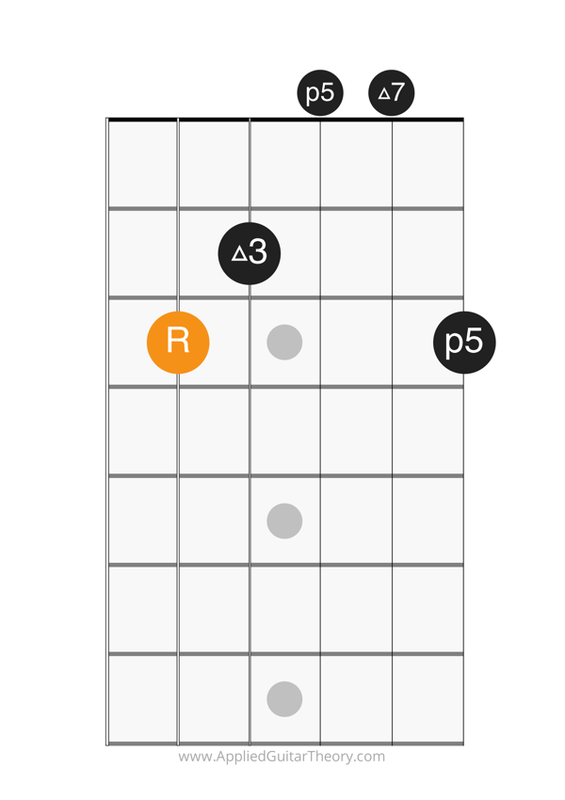 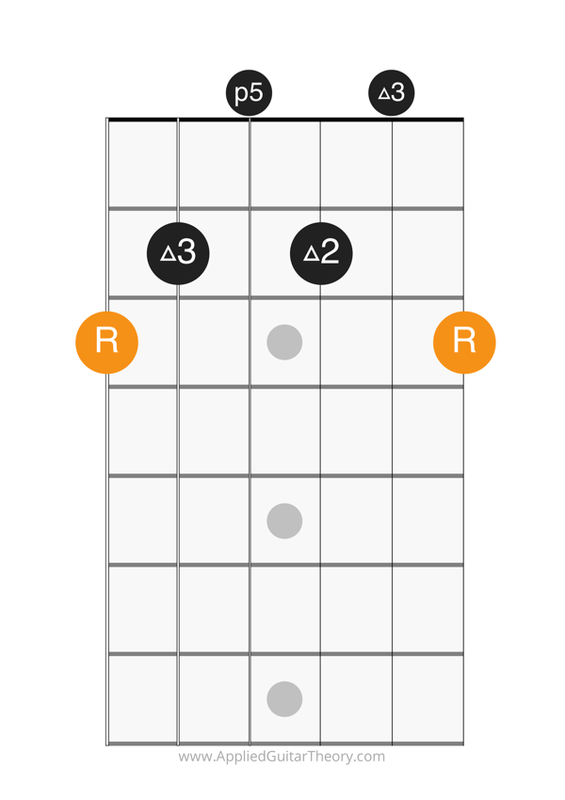 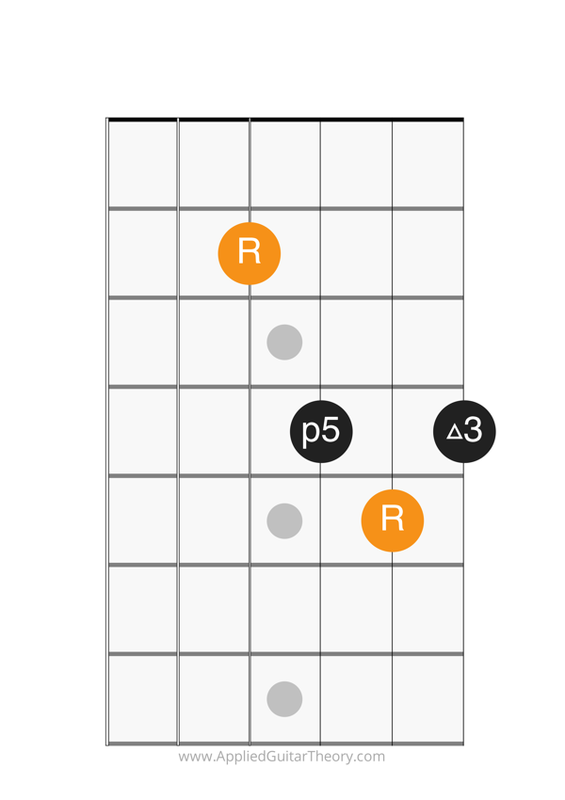 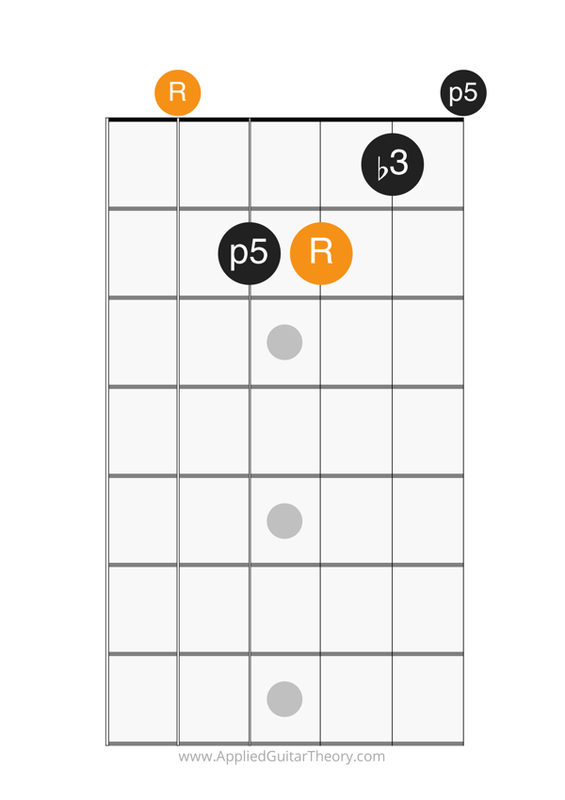 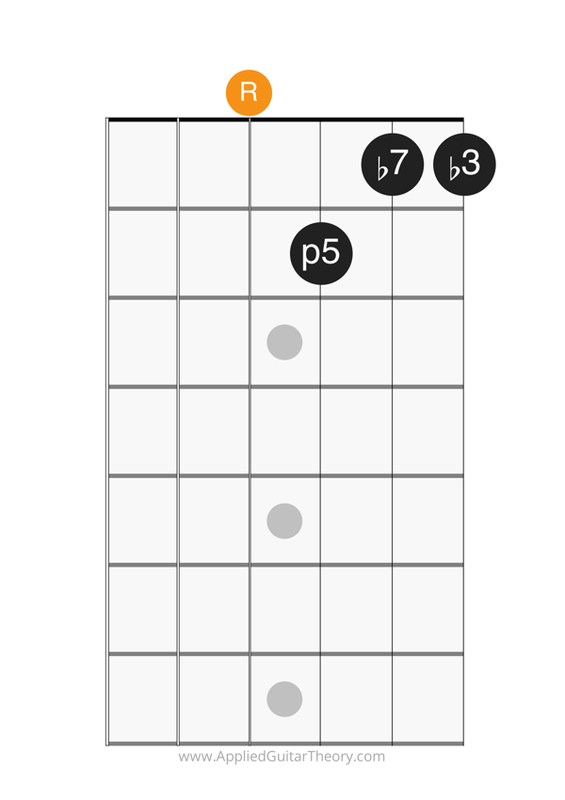 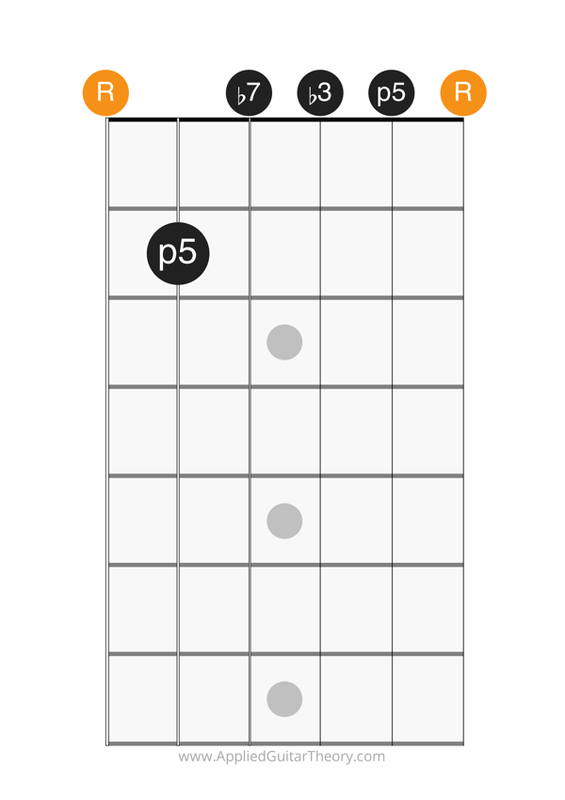 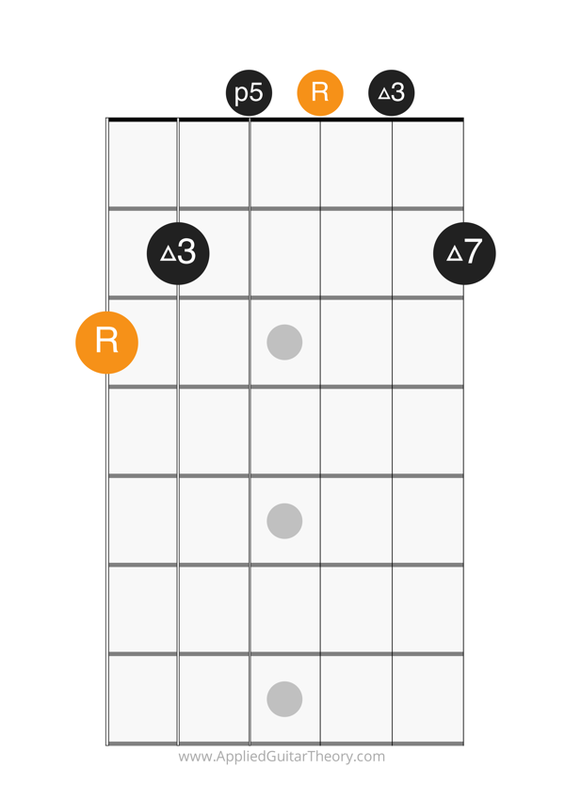 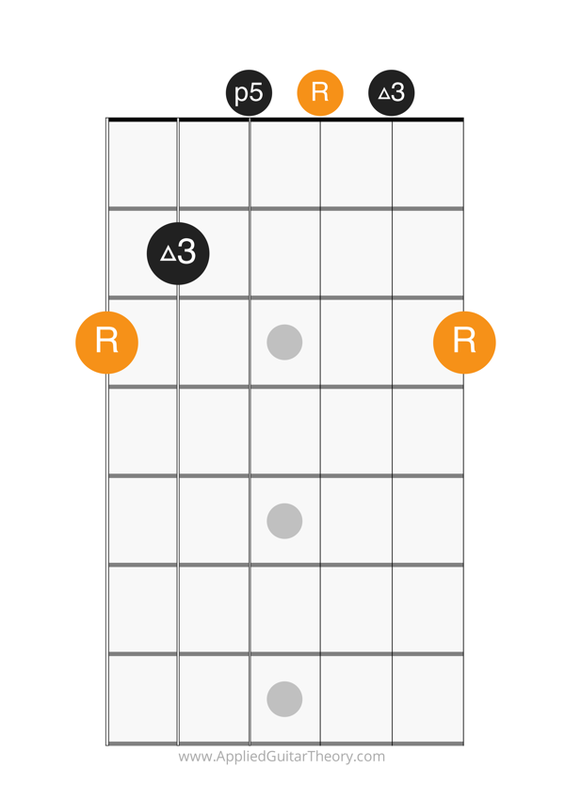 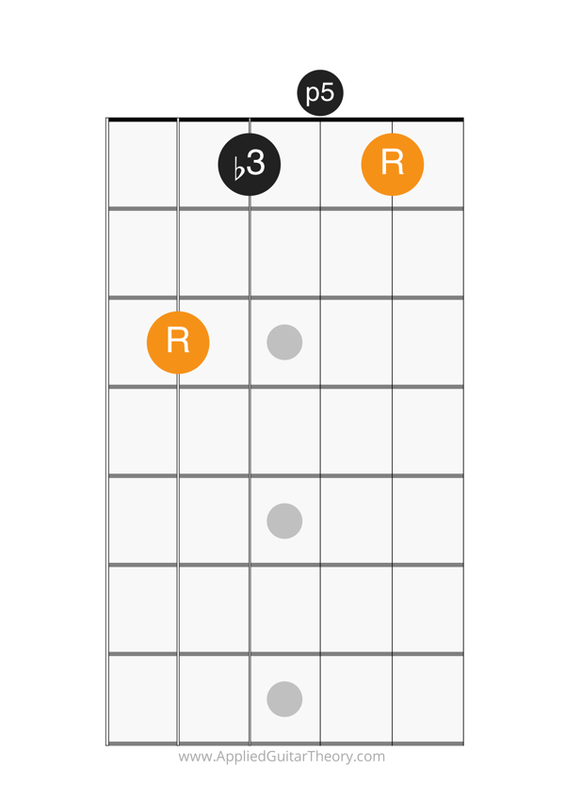 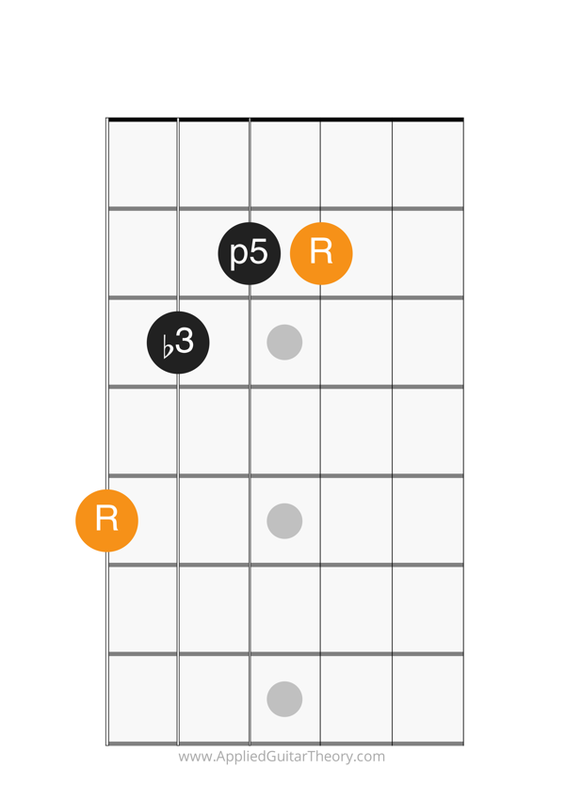 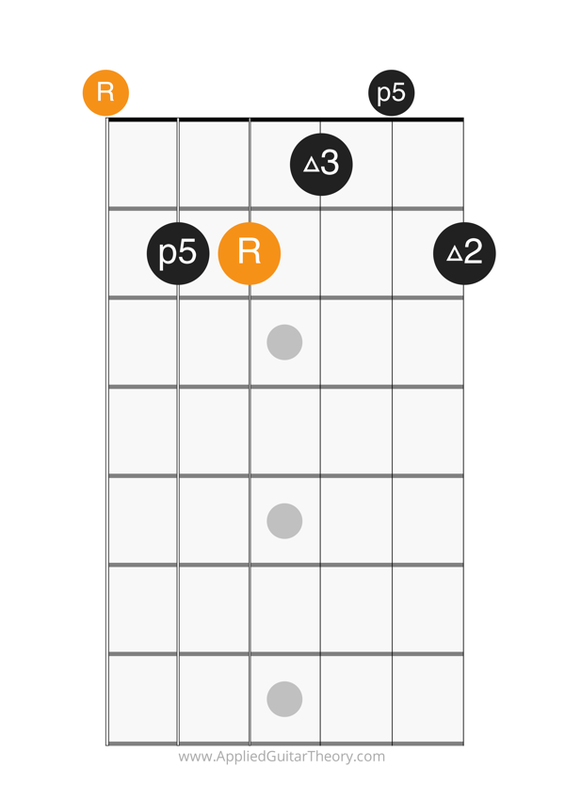 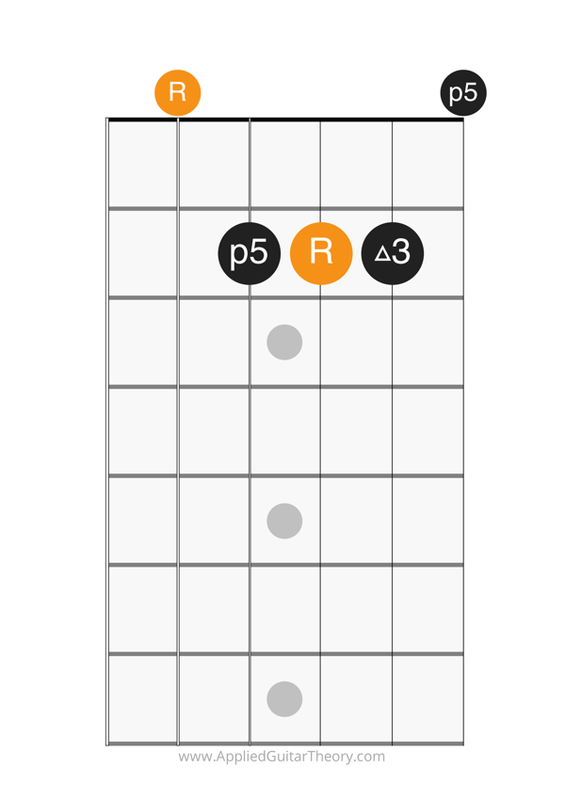 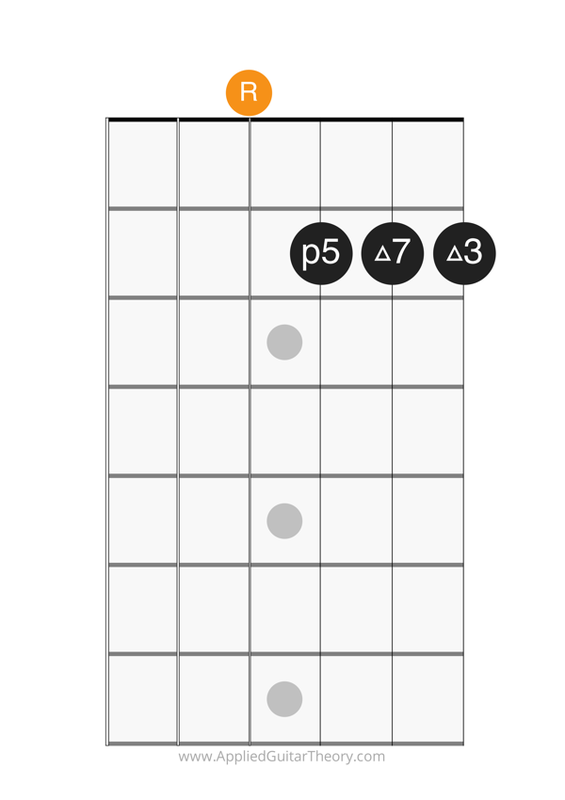 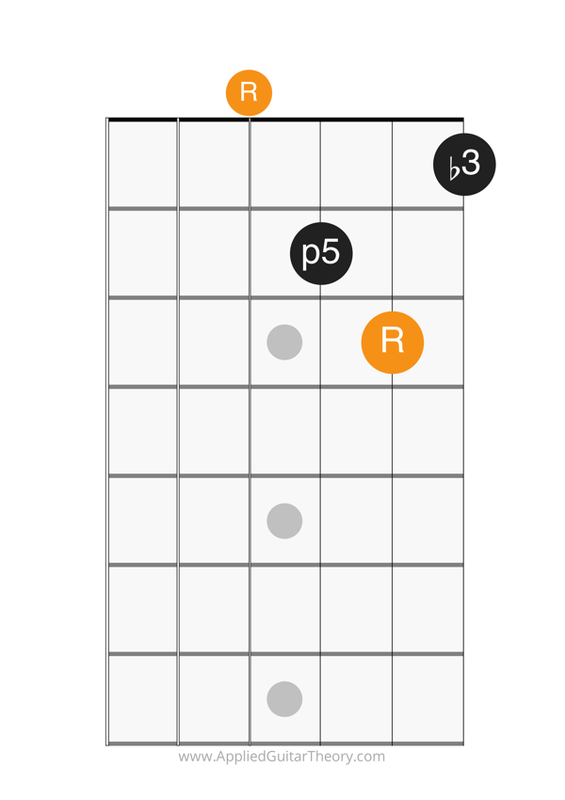 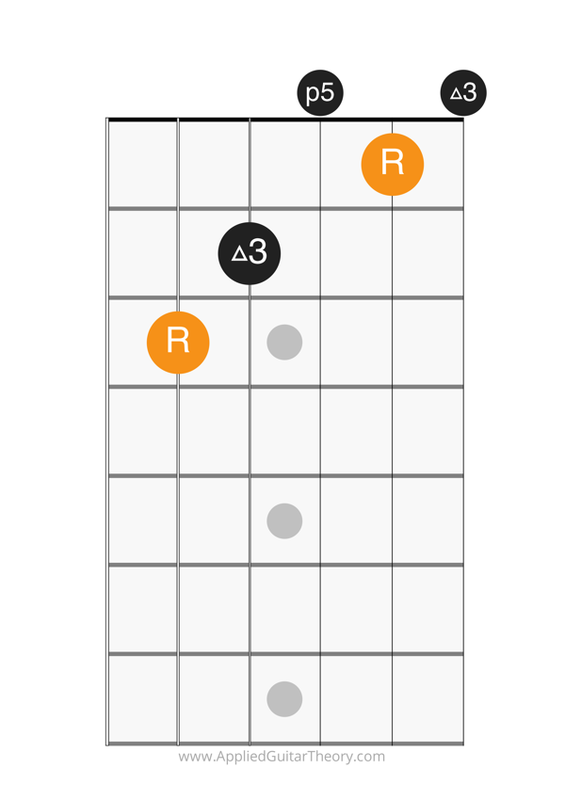 The minor chord is constructed from the P1 (root), m3 (minor 3rd), and P5 (perfect 5th) intervals of the minor scale. 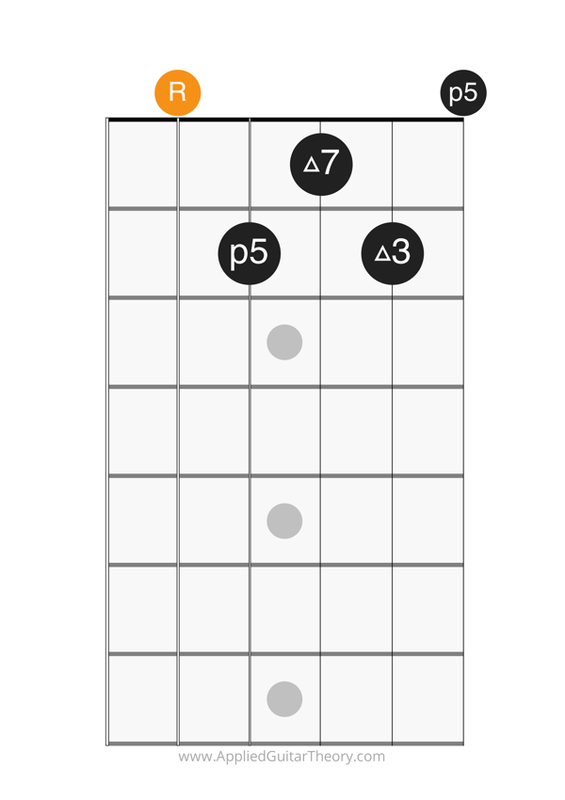 Major 7th chords are constructed from the P1 (root), M3 (major 3rd), P5 (perfect 5th), and M7 (major 7th) intervals of the major scale. 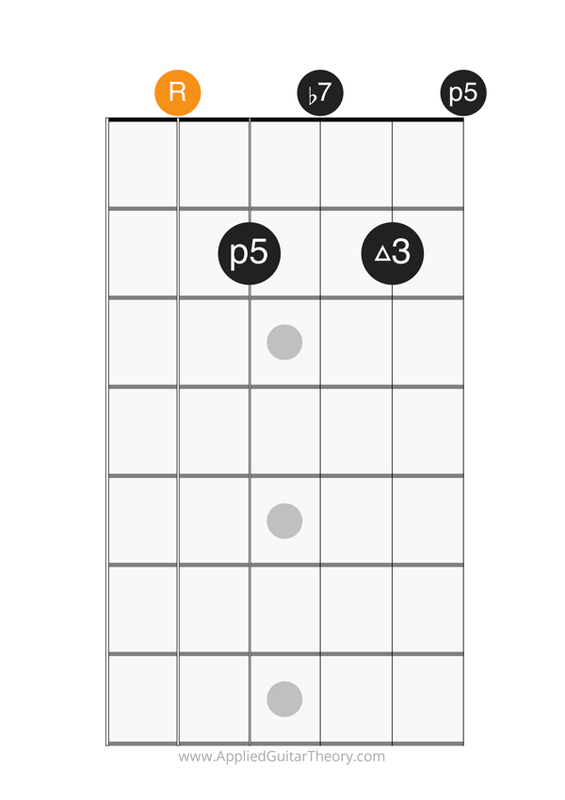 The minor 7th chord is constructed from the P1 (root), m3 (minor 3rd), P5 (perfect 5th), and m7 (minor 7th) intervals of the minor scale. 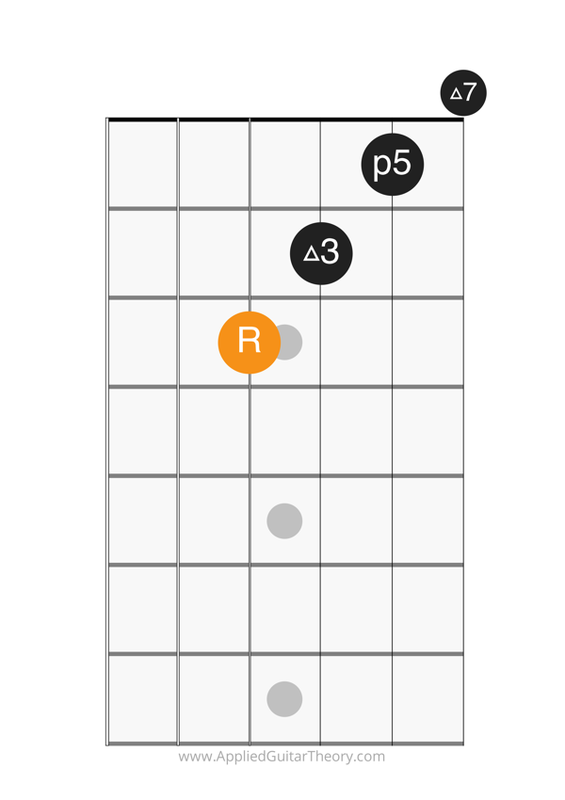 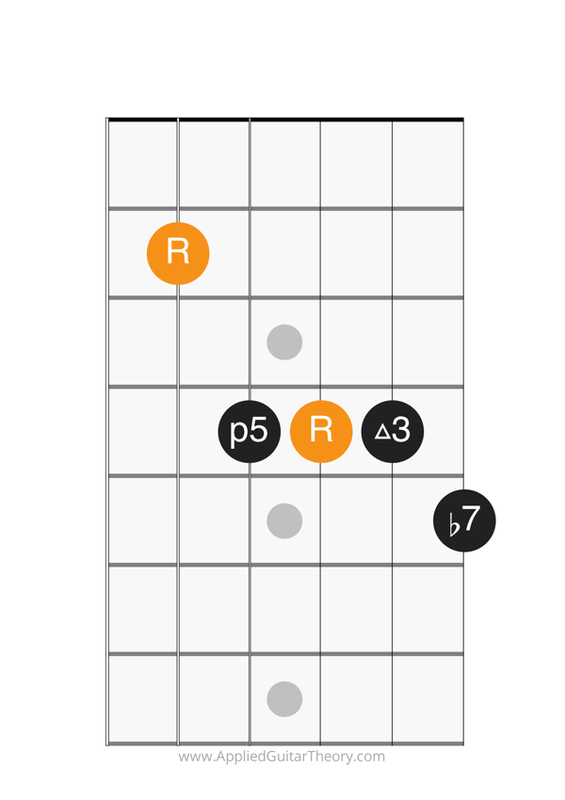 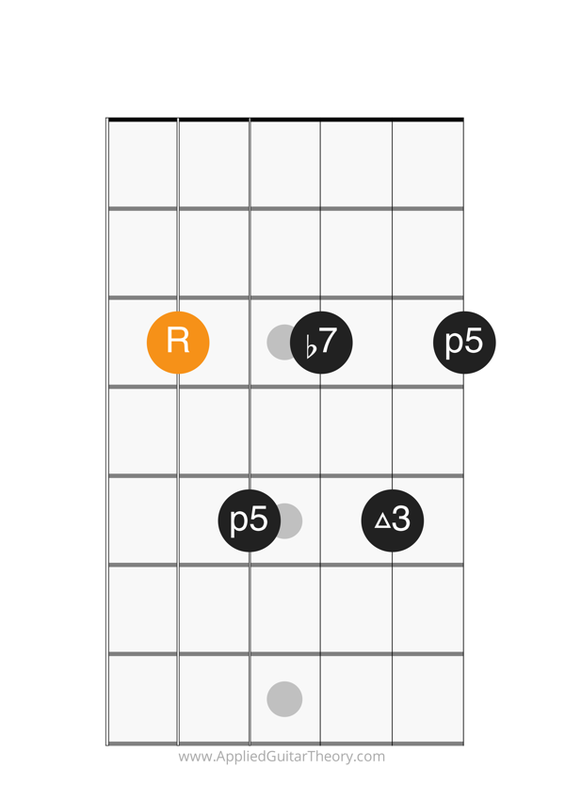 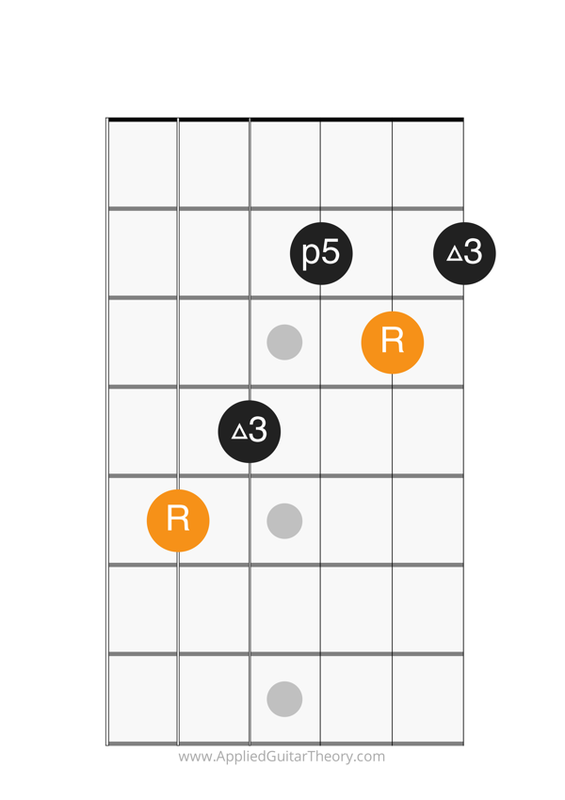 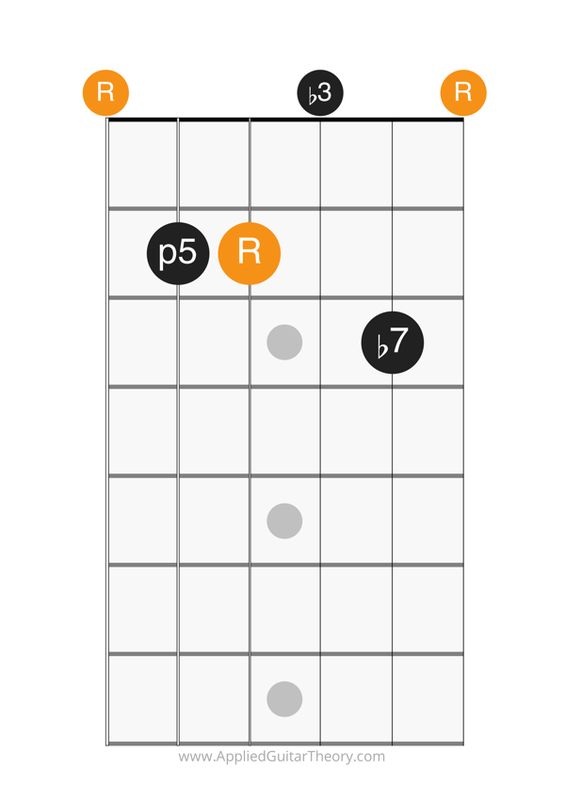 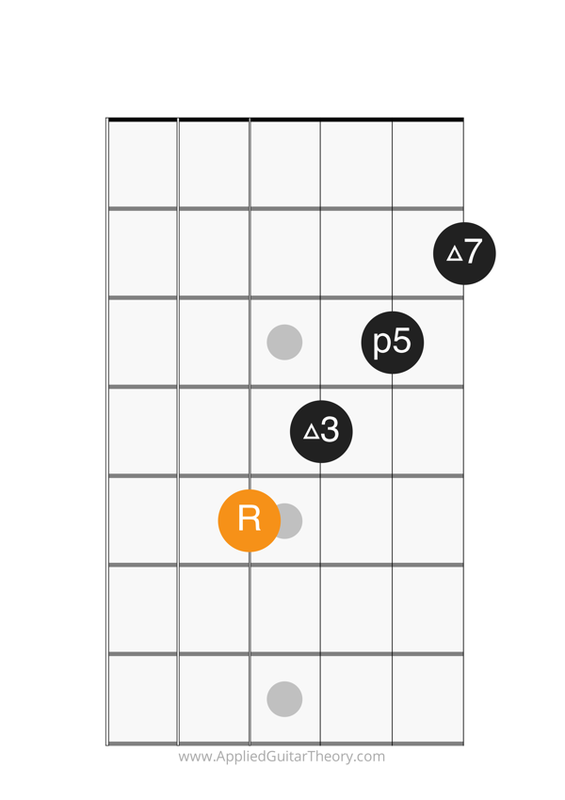 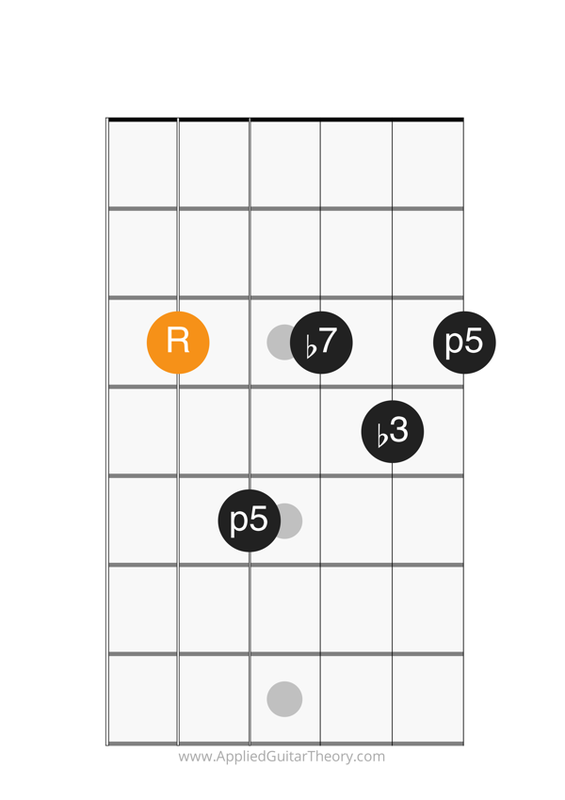 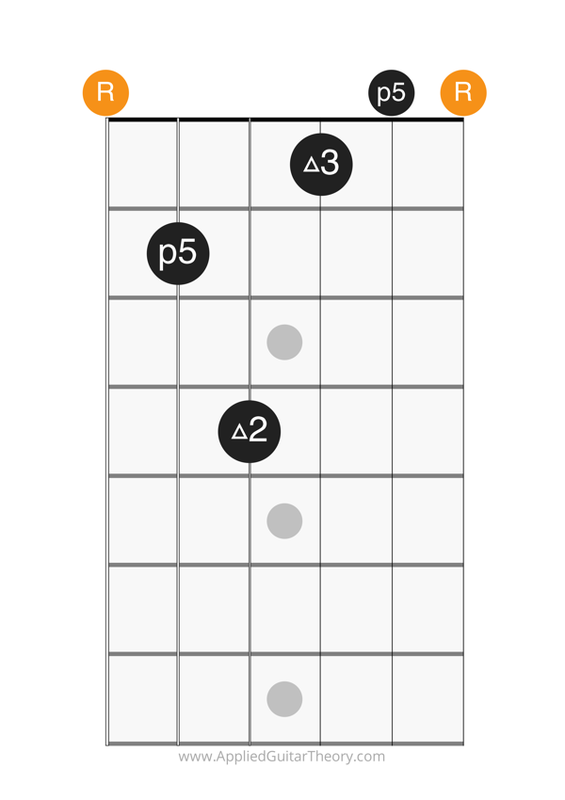 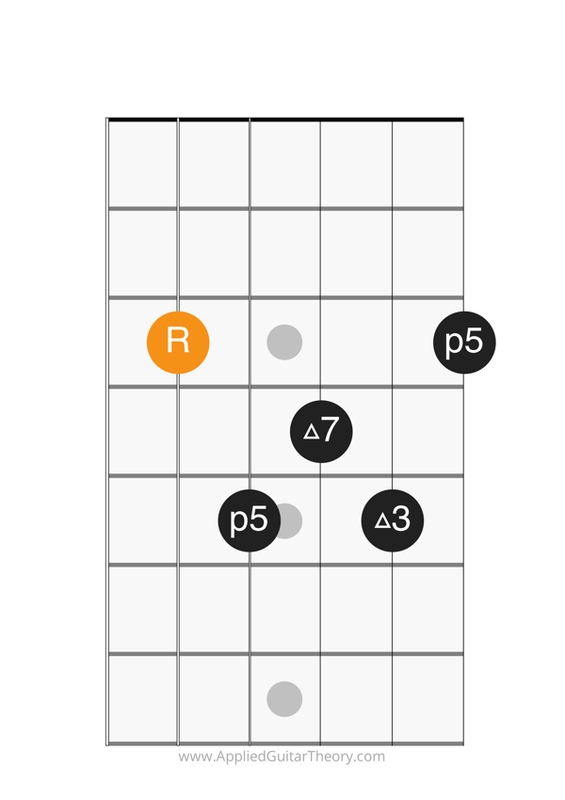 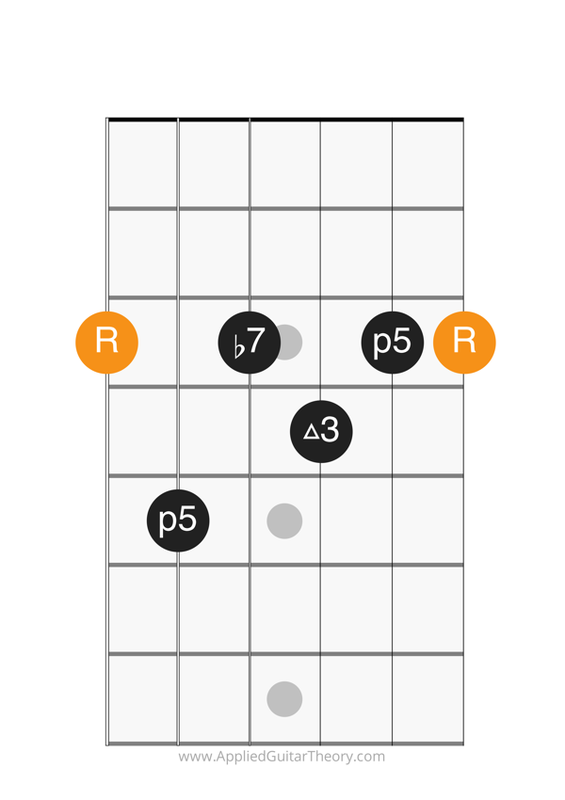 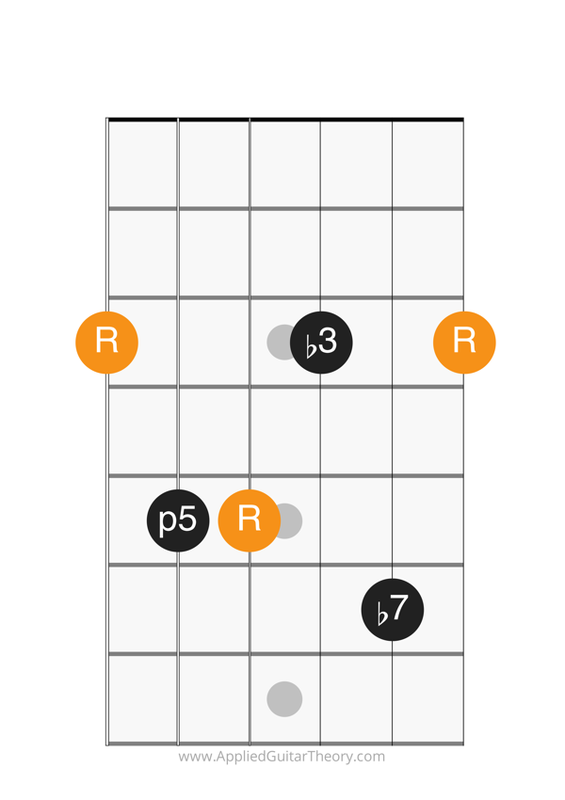 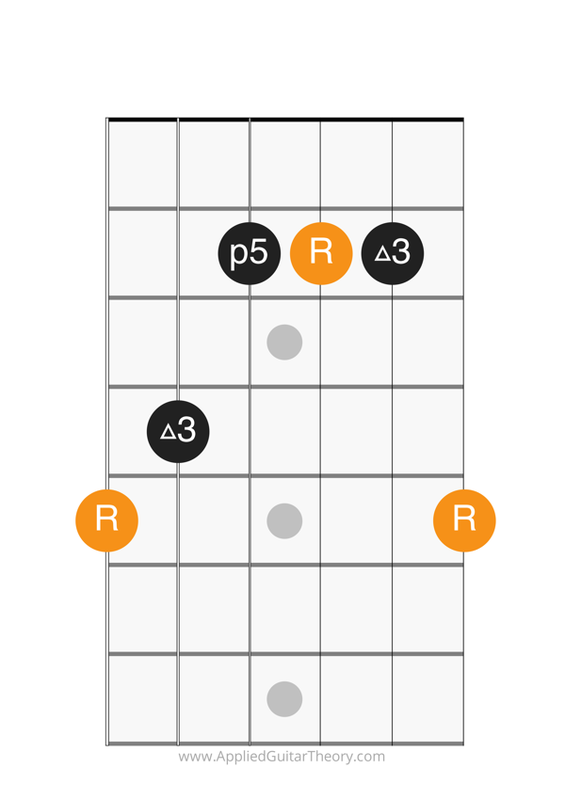 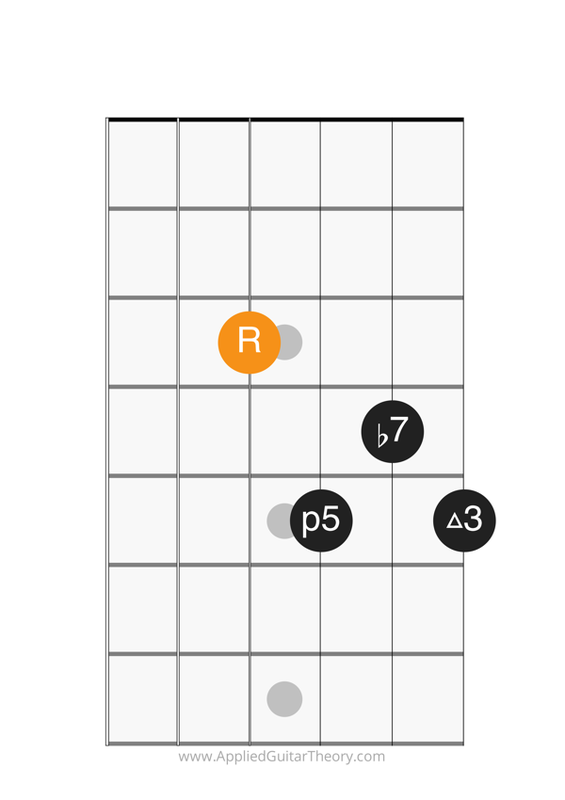 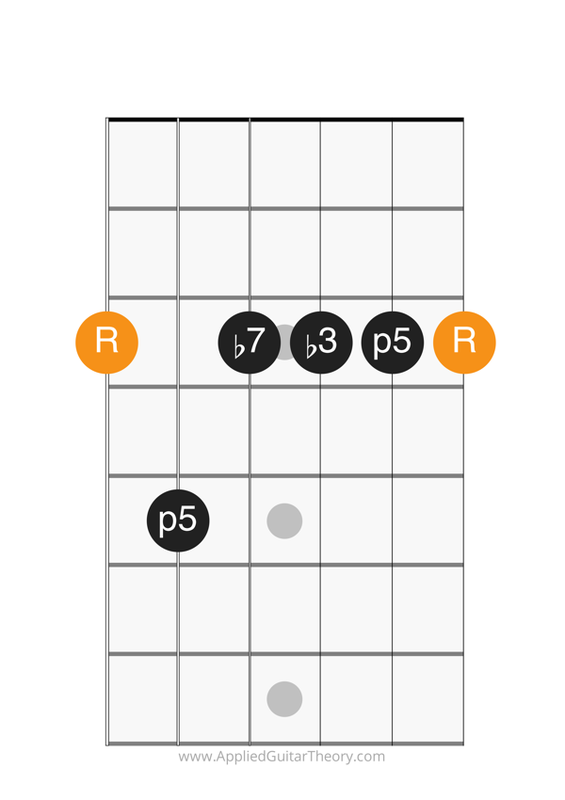 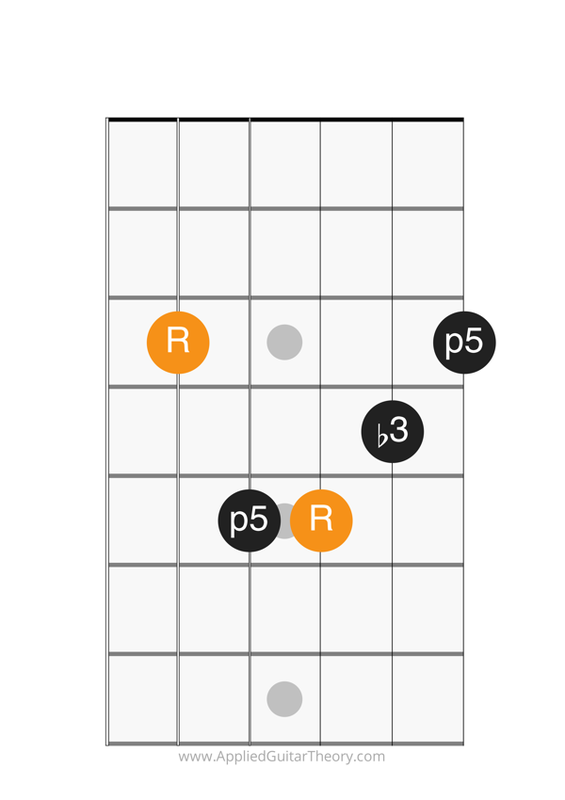 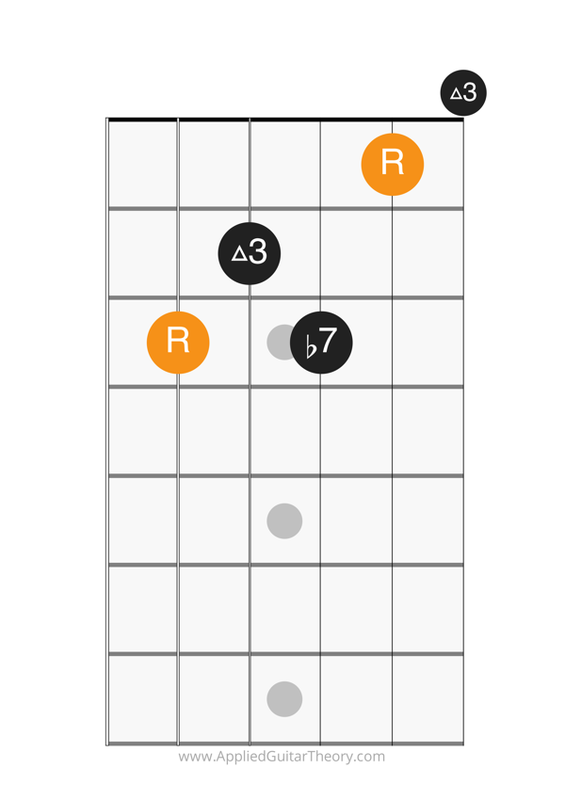 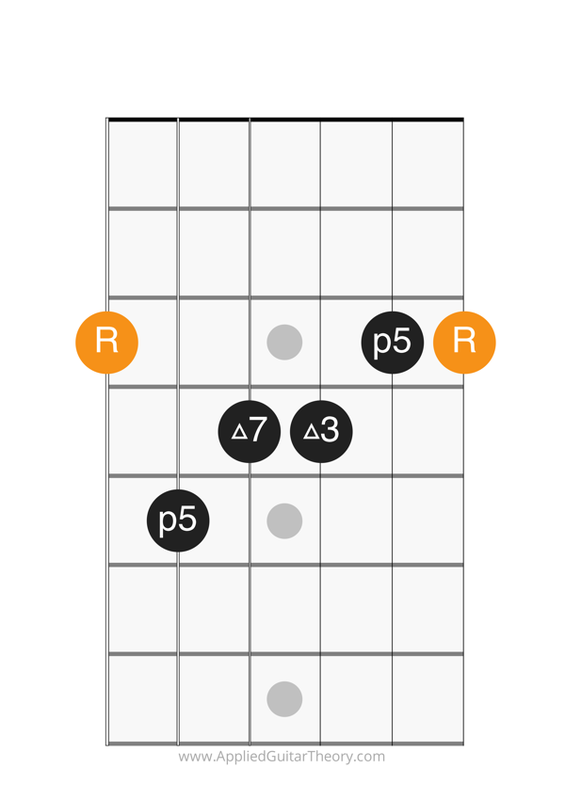 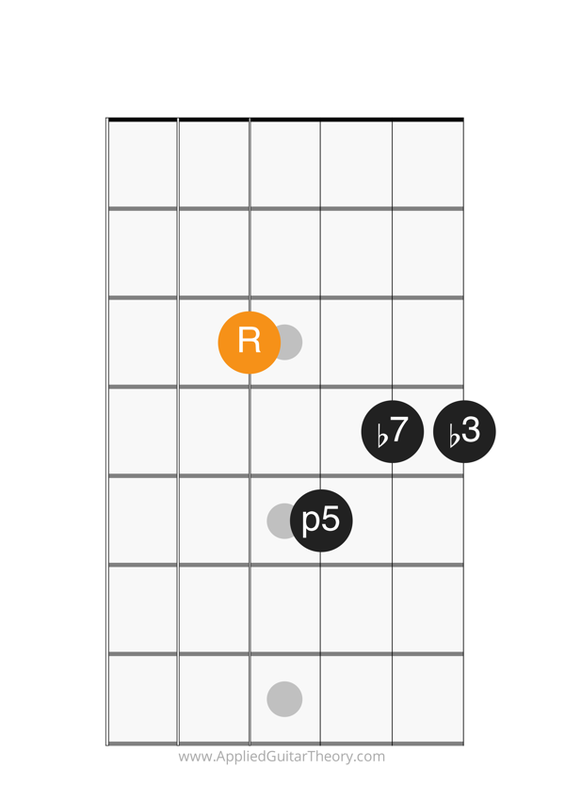 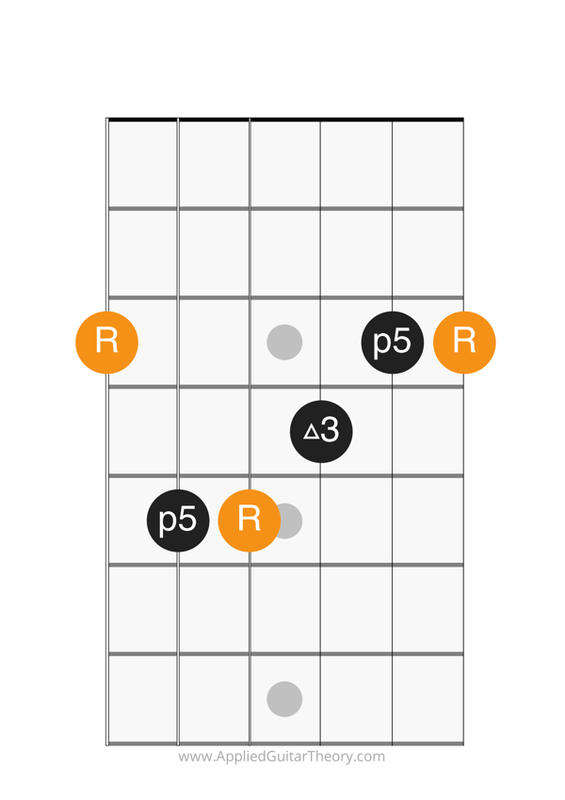 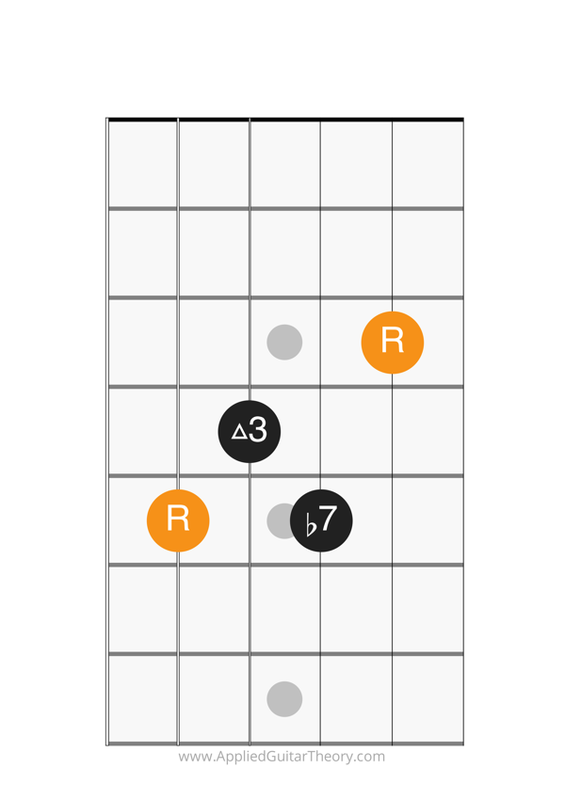 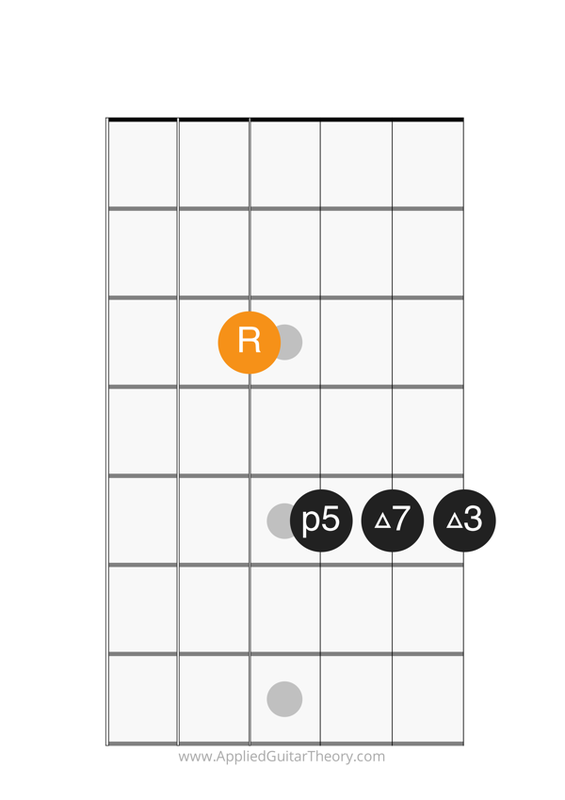 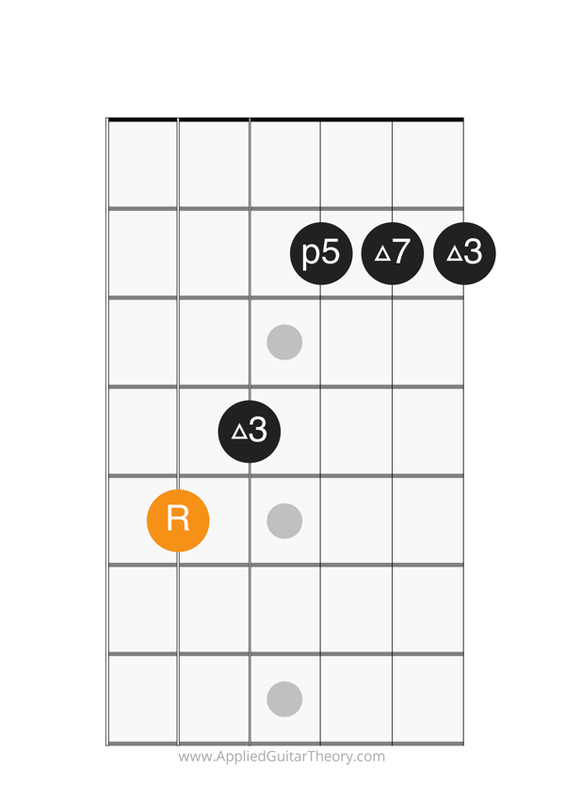 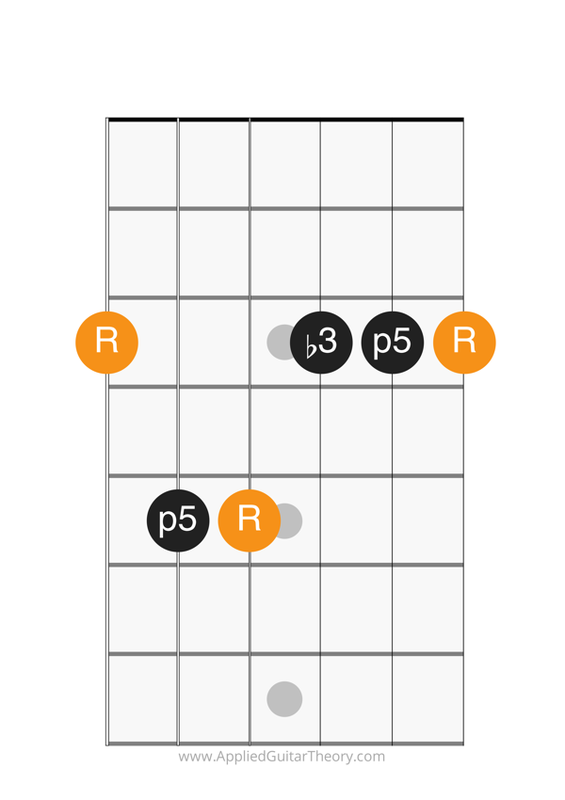 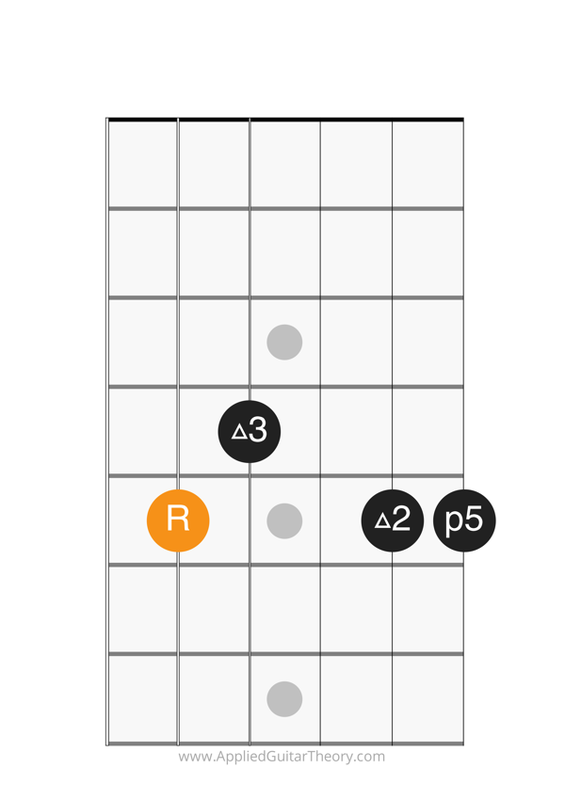 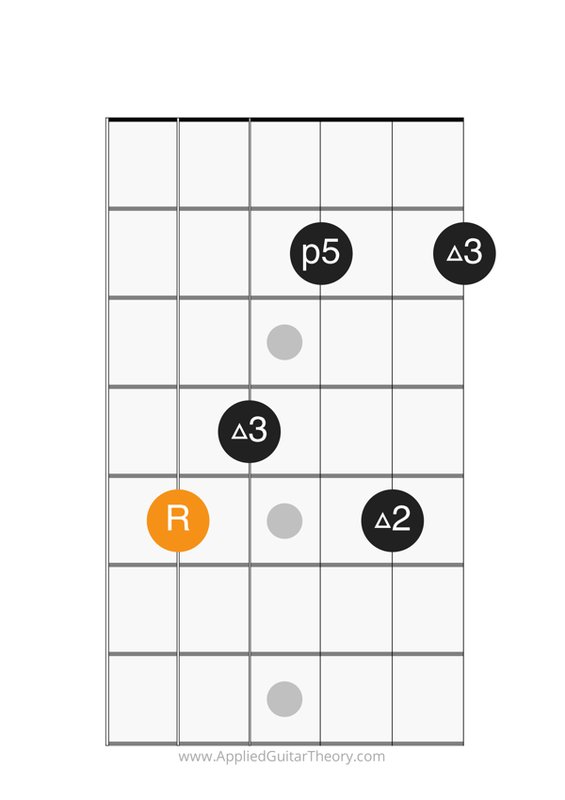 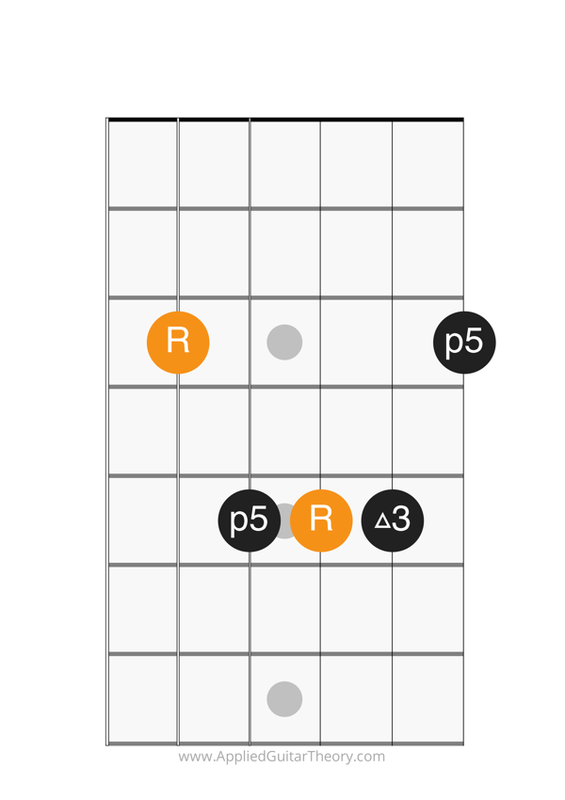 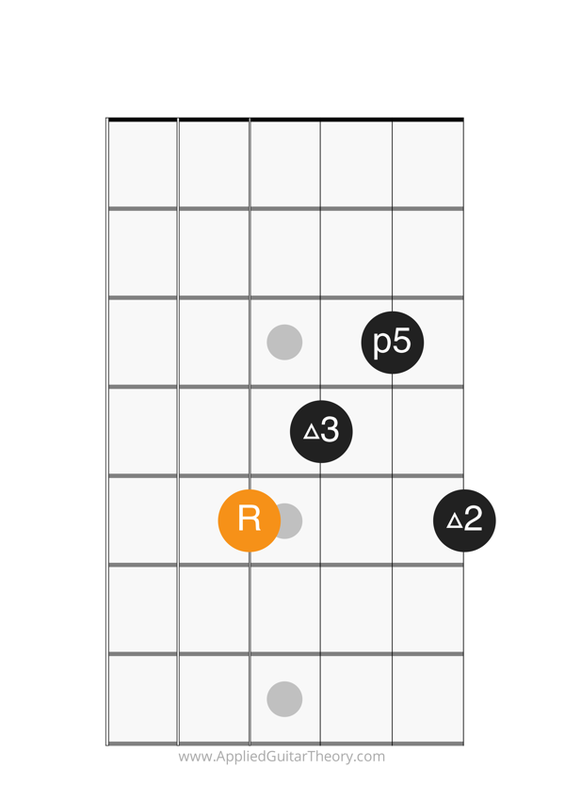 Dominant 7th chords are constructed from the P1 (root), M3 (major 3rd), P5 (perfect 5th), and m7 (minor 7th) intervals of the dominant (5th scale degree) of the major scale. 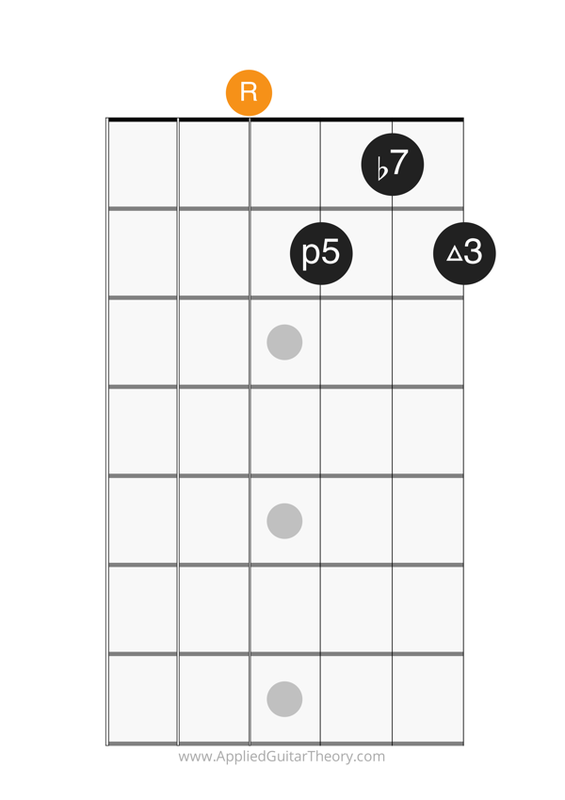 Add9 chords are formed when a 9th is added to the 1st, 3rd, and 5th intervals of a major or minor chord.